The site contains a selection of my work produced during the last years and since graduating the Product and Furniture course at Kingston University London. 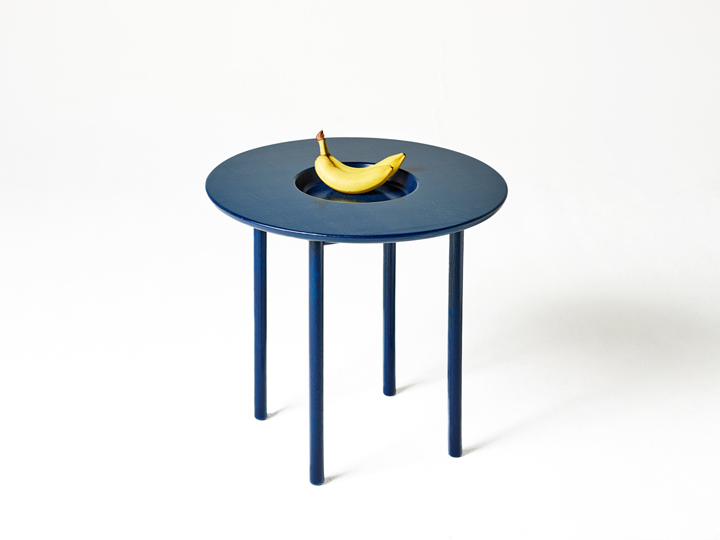 As a designer I am mostly interested in the many potential and existing ways of use of objects and surroundings. To me the user experience is the most important to a product, whereas materials and form, and functionality in context together make the experience. 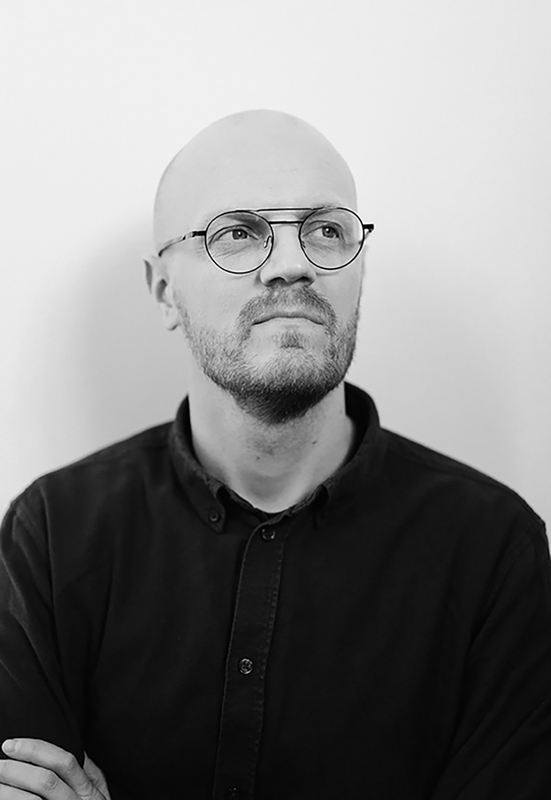 After doing an internship with Joris Laarman and living and working in Amsterdam for two years I returned to Norway from where I originate and started my studio in Oslo. I finished a second internship with Andreas Engesvik, Oslo in 2013. 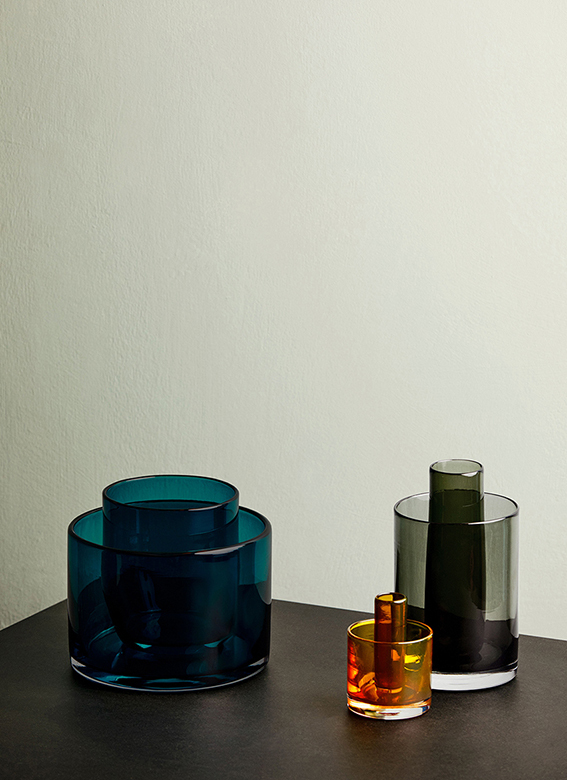 Volume Vases is a series of three blown-glass vessels of different size, colour and proportion. The vases are functional objects, each consisting of two open integrated cylinders. Independent of each other, the outer and inner cylindrical volumes allow for a combination of live and dried plants or flowers, with or without liquid. Decorative in itself, the outer and inner glass forms overlap to create a deeper hue, resulting in a vibrant and colorful expression. 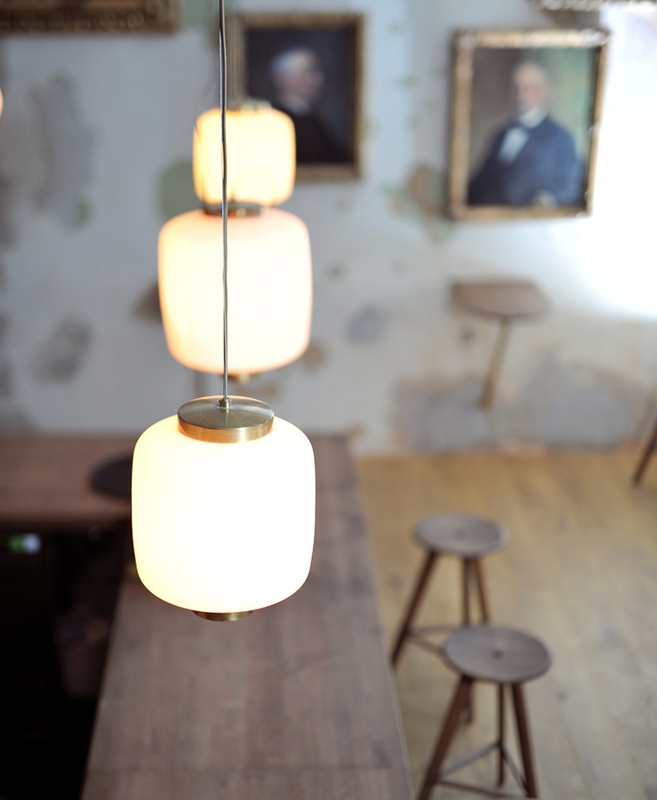 These first three prototypes were handblown without using molds by the eminent glass blower Vidar Koksvik in Oslo, Norway. The prototypes will be on show at the exhibition Norwegian Presence in Milan 9-14th April this year during Salone del Mobile. 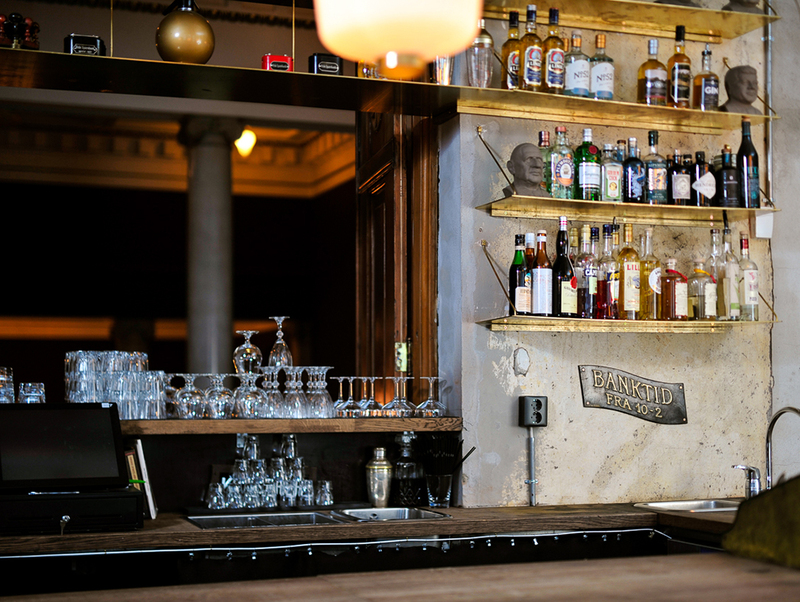 Gullbaren is a cocktail bar run by Fuglen situated on the 2nd floor of cultural quarter Sentralen, the former Christiania Sparebank`s building of 1901 in Oslo. 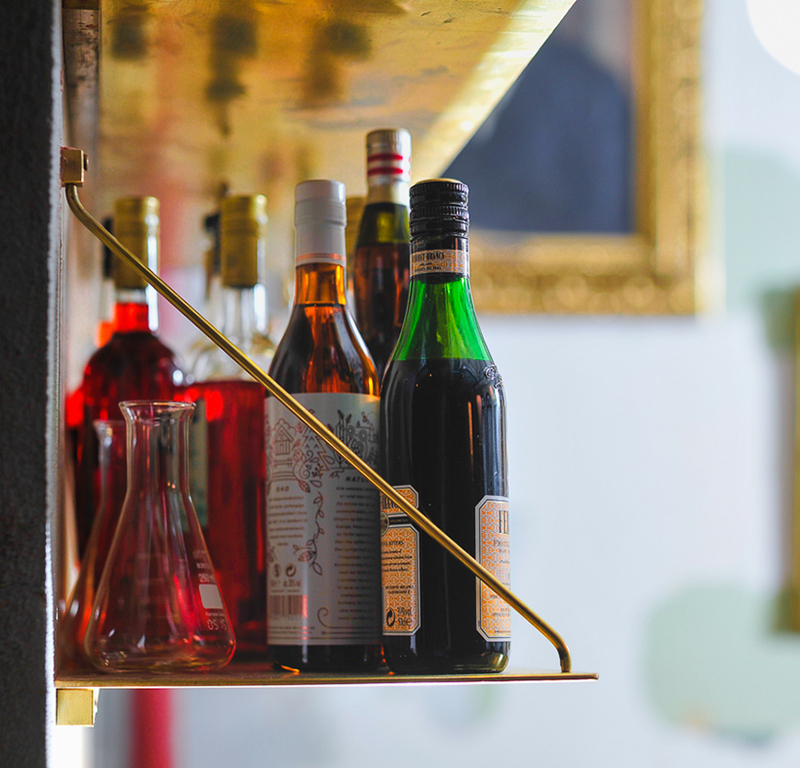 Fuglen, Atelier Oslo, Alexander Åsgård and I designed the bar together as a team. 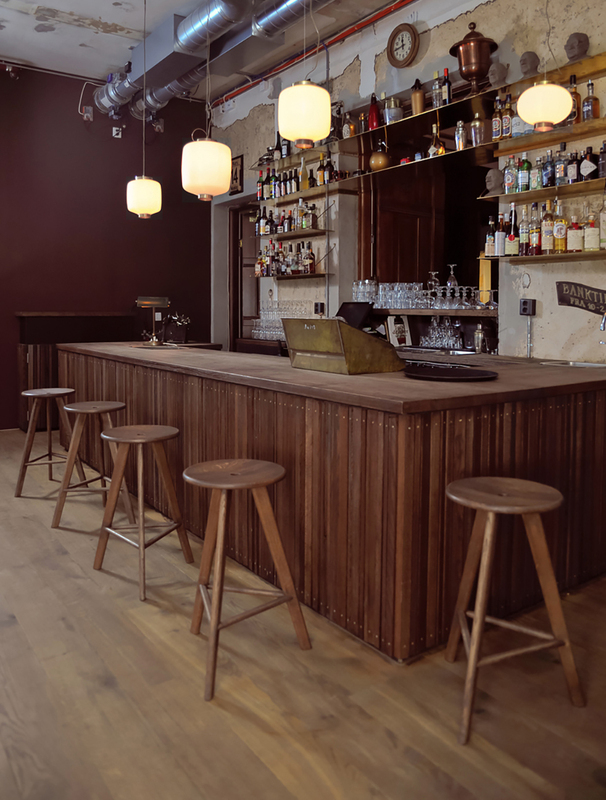 Fuglen directed the design, did the detailing and chose Frikk as the bar stool. 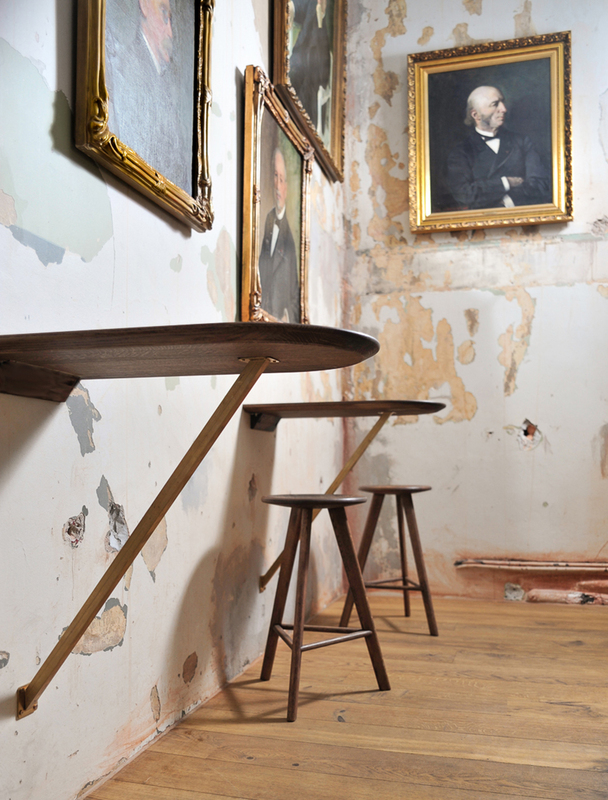 Atelier Oslo designed the bar desk, and Alexander Åsgård and I designed the tables and shelves together. 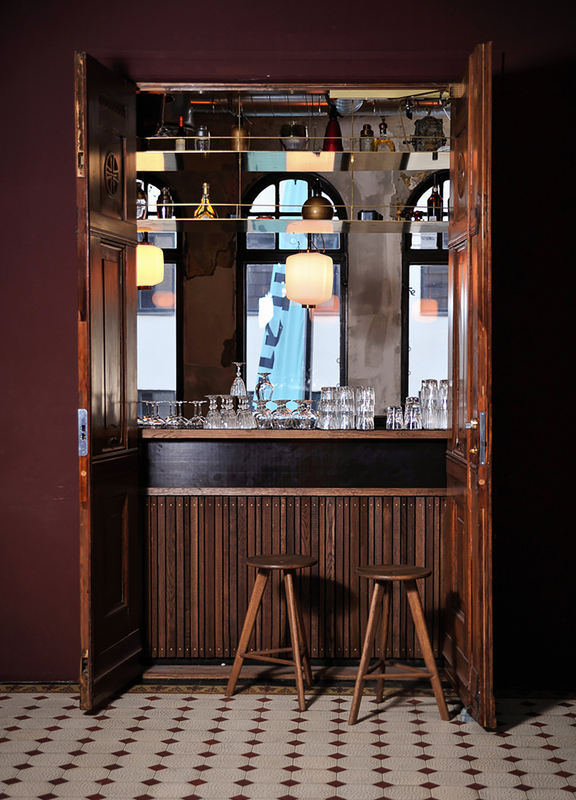 The bar is located in the old club room of the Freemasons who previously owned Christiania Sparebank. 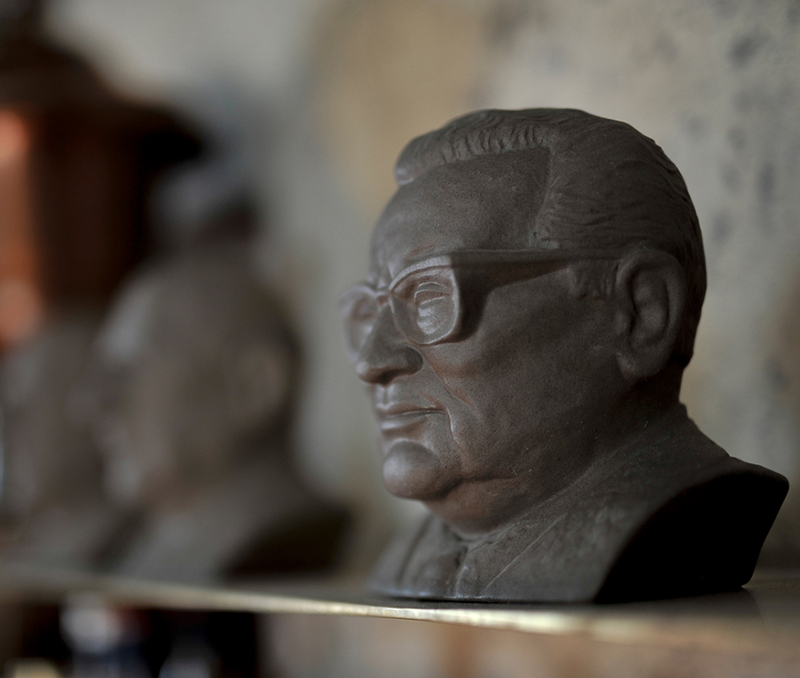 The former owners are represented on the paintings and on the small busts on the shelves. The idea of Gullbaren was to try to preserve the atmosphere of the past through keeping the walls and ceiling untouched. 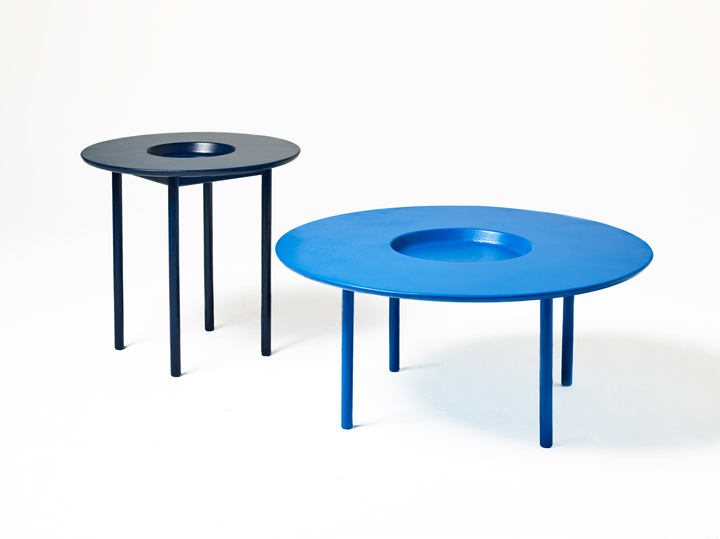 Dish is a side/coffee table with a centered deepening. The deepening is ment to function as a bowl or dish, for keeping things in such as fruits, yarn for knitting or any other things people may find useful to keep there. The dimensions are Ø 900 mm, h 410 mm for the largest and Ø 600 mm, h 560 mm for the smaller one. 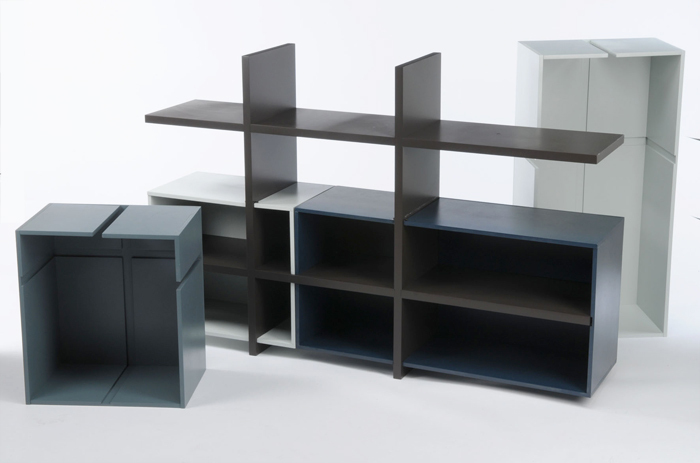 The two prototypes were shown at Salone Satellite 2016. 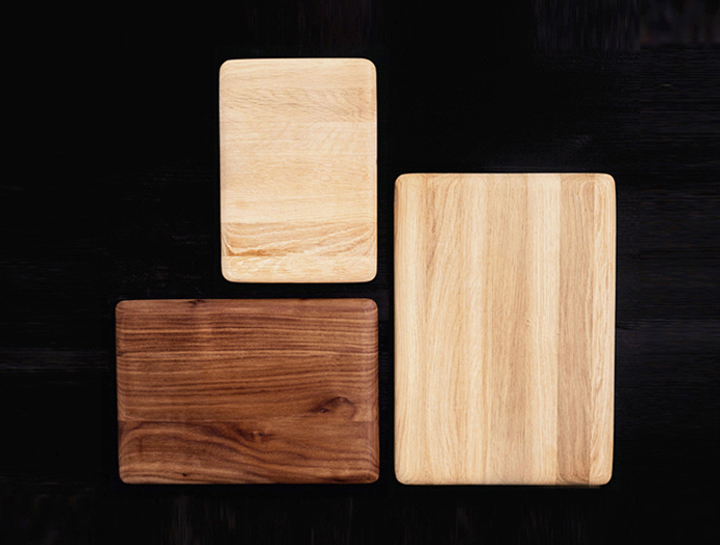 Ratio are cutting boards in wood sized in the ratios of paper series A and B. Paper sizes are based on the Golden Ratio - nature`s own natural ratio and well known proportions to the eye. I thought proportions good for the kitchen too. 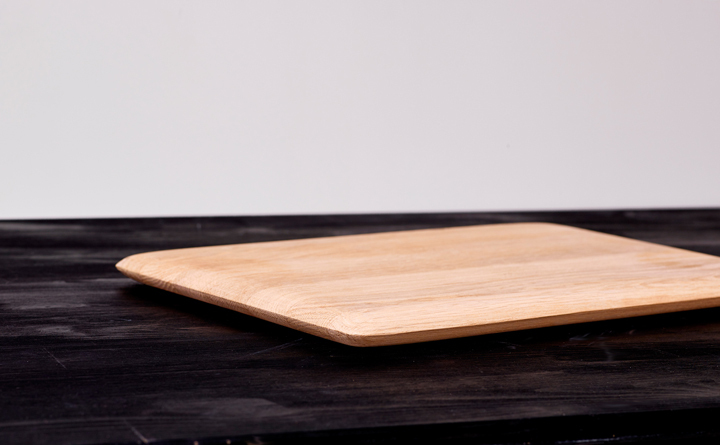 The cutting boards have dome shaped edges for being easy to pick up, flip, and use on both sides. 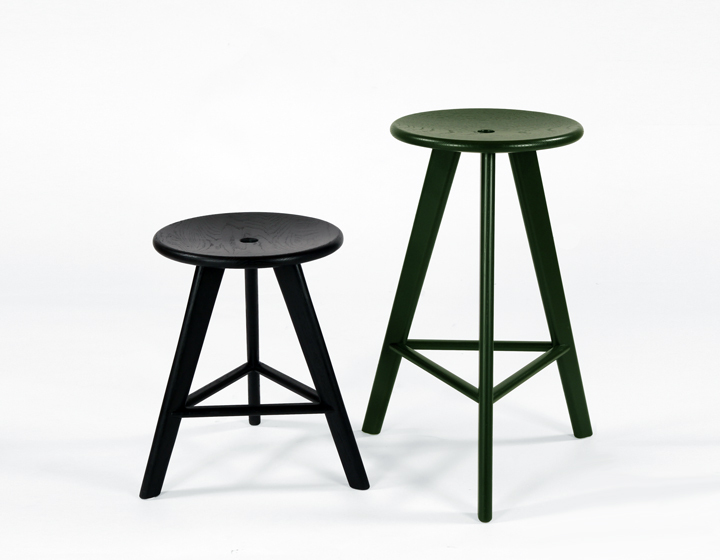 Frikk is a wooden three legged stool with references to the industrial stool of the 1920s. 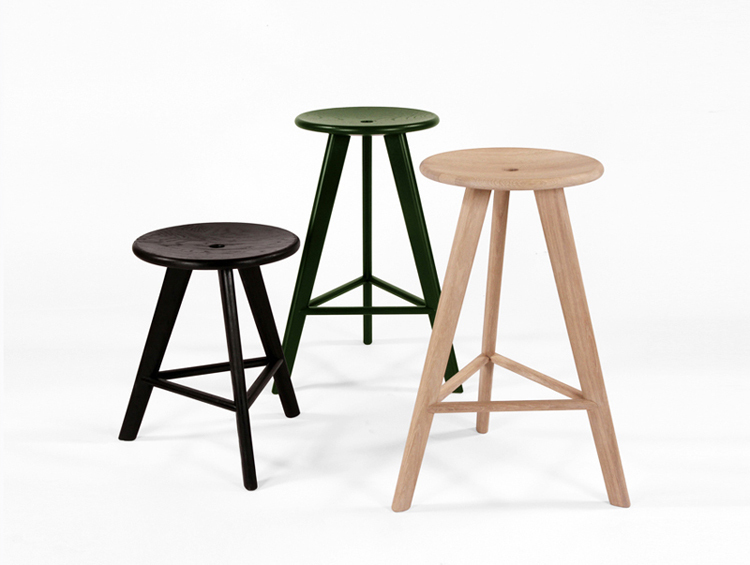 The stool was designed to be light and strong and makes use of its three legged structural form to enhance strong wood joinery and light weight. The seat is slightly curved for sitting comfort and has a centered hole for easily lifting the stool single handed. 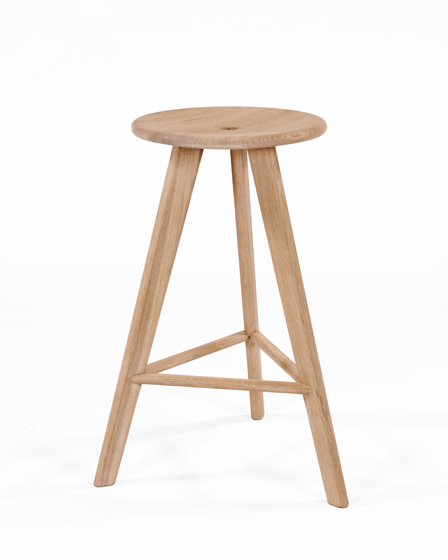 Available in 450, 640 and 750 mm height in solid oak, natural and various colours and finishes. Manufactured by Tonning & Stryn. Part of Norwegian Icons selection. 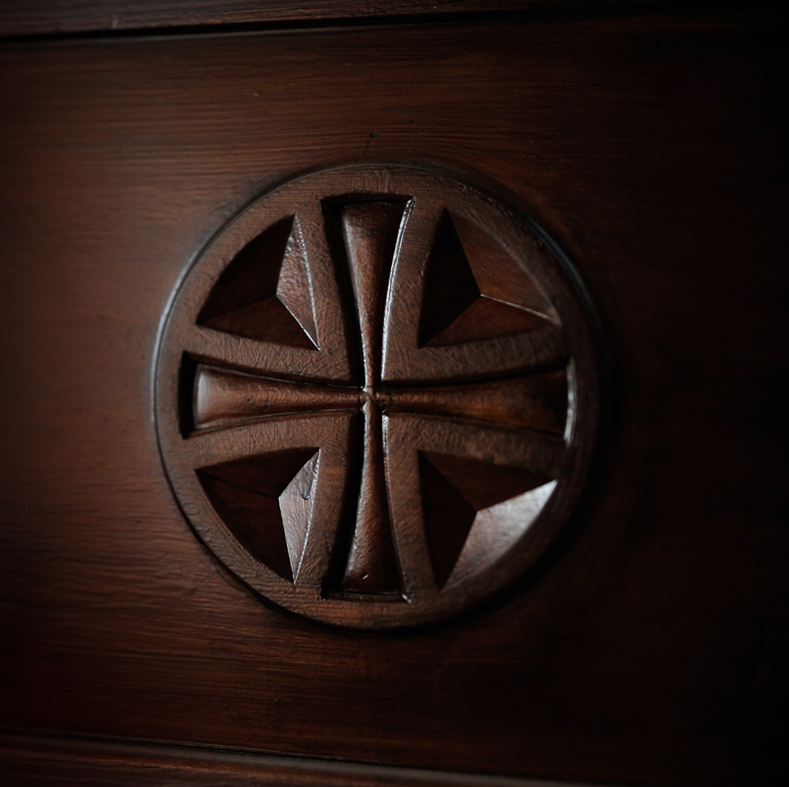 For Ørjan Svendsen and his plan for a furniture brand I designed a logo. The logo is a combination of the letter Ø and the letter S as the initials of the name. Together the letters form a symbol with a clear reference to the Greek letter 휑 known as Phi - the symbol for the mathematical proportion the Golden Ratio. The Golden Ratio has been used and studied by architects, artists, biologists, designers and other creatives and intellectuals for more than 2000 years, and is to some extent seen as a universal law for the way nature creates. A powerful symbol I thought would fit well for a business of creations. 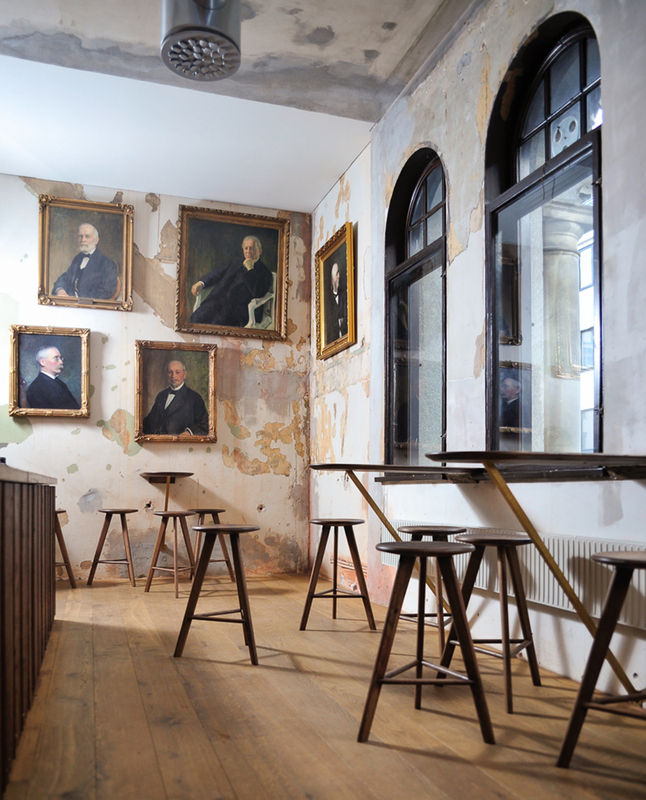 After planning for some time it turned out Ørjan was too busy with his primary business and the plan for the furniture brand was left on hold and later cancelled. Other versions were done for different contexts. 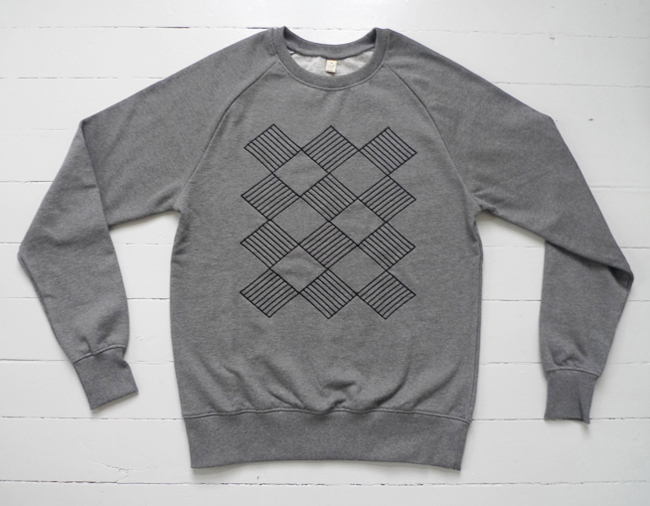 For Thijs van Buuren and his embroidery machine I designed some patterns. 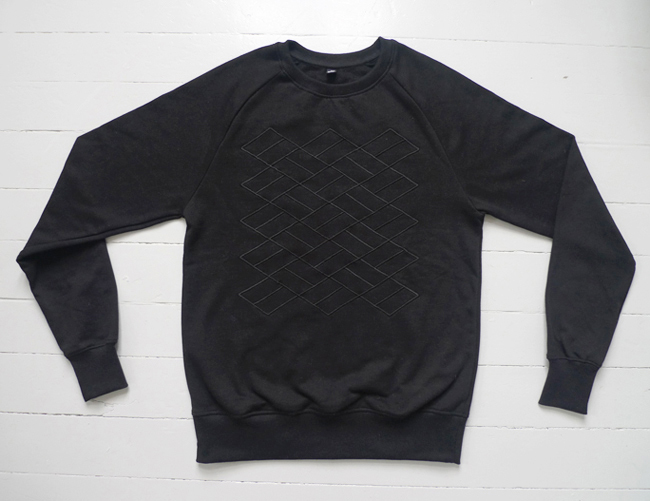 The patterns were programmed and embroidered onto cotton sweaters at the Tegendraads Studio in Rotterdam. When doing this project I thought of the embroidery thread as a similar material as the fabric of the sweaters. Simple symetrical patterns inspired by harlequin patterns felt like the right thing to do. 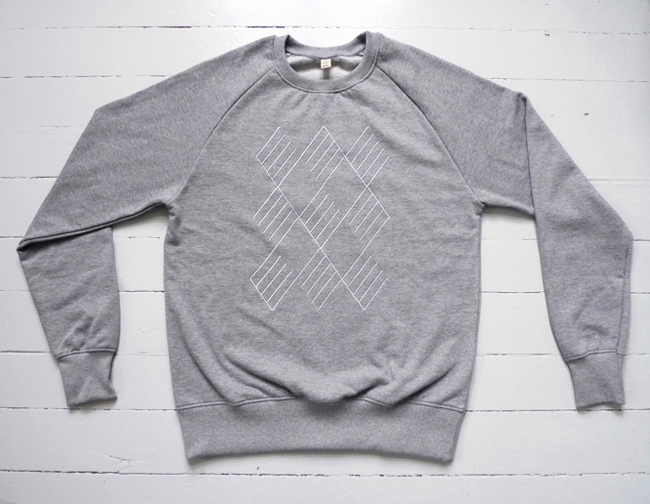 The sweaters were produced in a limited edition. 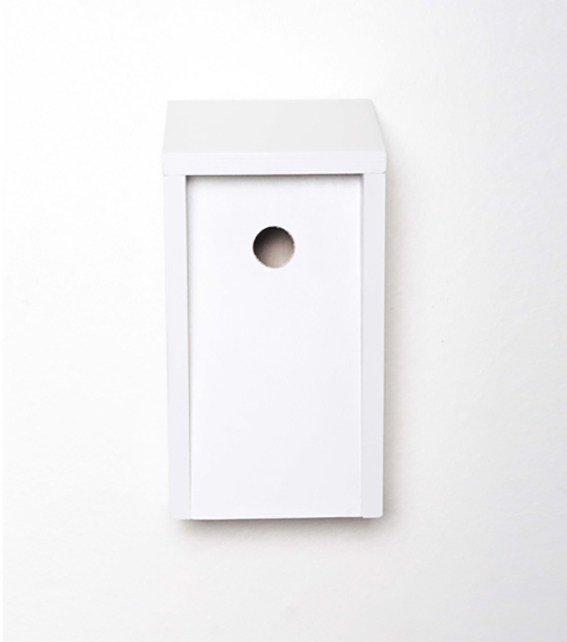 Birdkeeper is a birdhouse with extended side walls. The walls provide the birds inhabiting the house with extra shielding for wind and weather, and fit flush with the angled roof. The roof is attached with hinges and locks on through integrated magnets, to keep unwanted predators out. 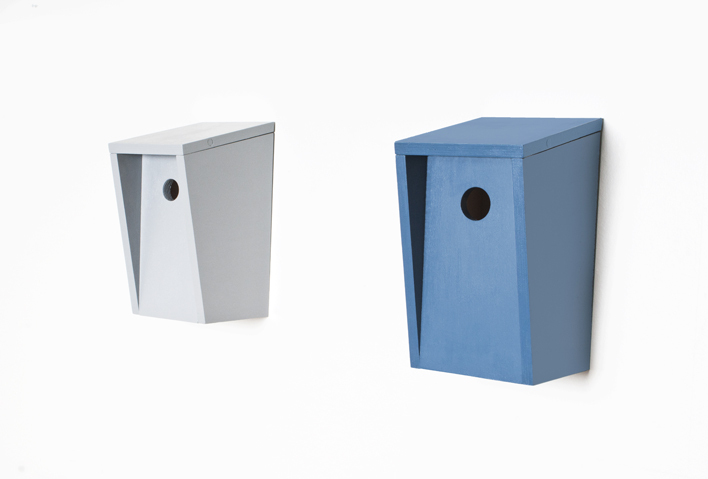 Birdkeeper is painted and made in outdoor plywood for not moving in changing conditions and keeping durability. It comes in different sizes which are all taken from recommendations of ornothologists for various bird species living in urban areas. Three prototypes were presented at the ODL exhibition in the shop/office of Holedesign during Designers Saturday in Oslo. Integrated magnet in the roof. Task Standing Light is an adjustable standing light. 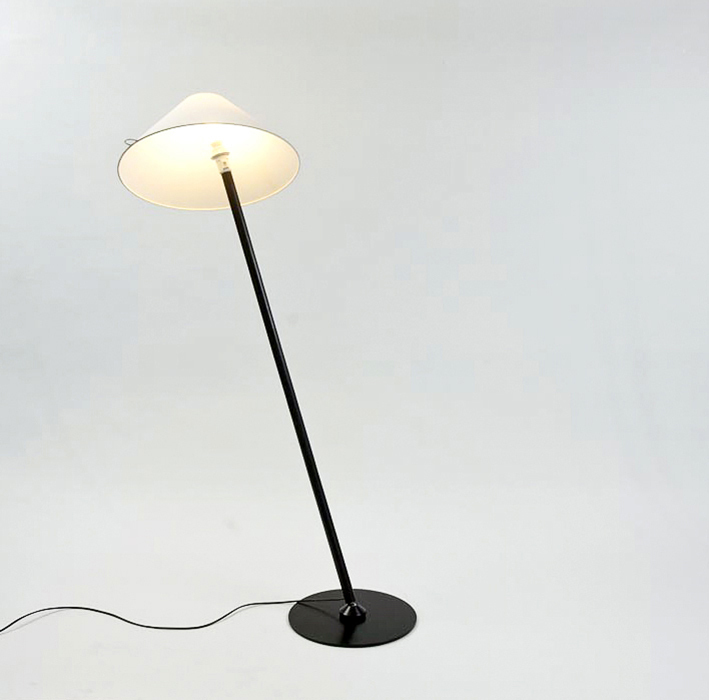 The light represents a classic Scandinavian standing light with a new set of functions. 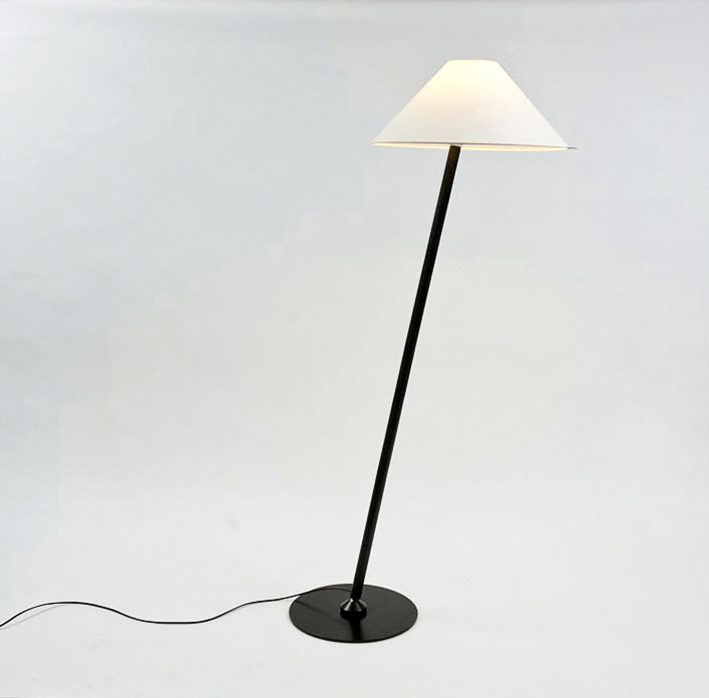 Through ball joint mechanisms in the base and top both the stem and the lampshade can rotate around their axis and tilt up to 15 degrees from vertical. The wooden stem is reinforced to keep from bending and has the cord running inside. The base is made in steel. 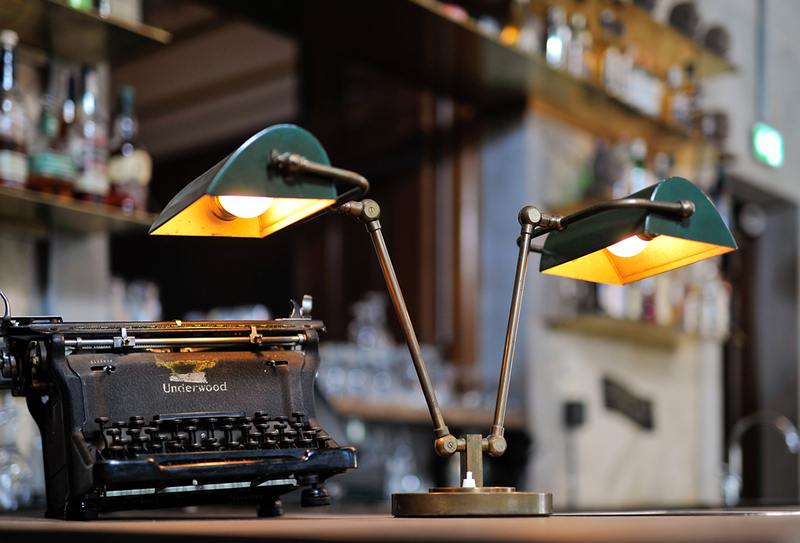 The ball joints hold the stem and shade in all angles without running loose, and have a vertical click-in position for making it easy to stand the light completely straight. After editing and re-editing for about two years it was finished in 2011. 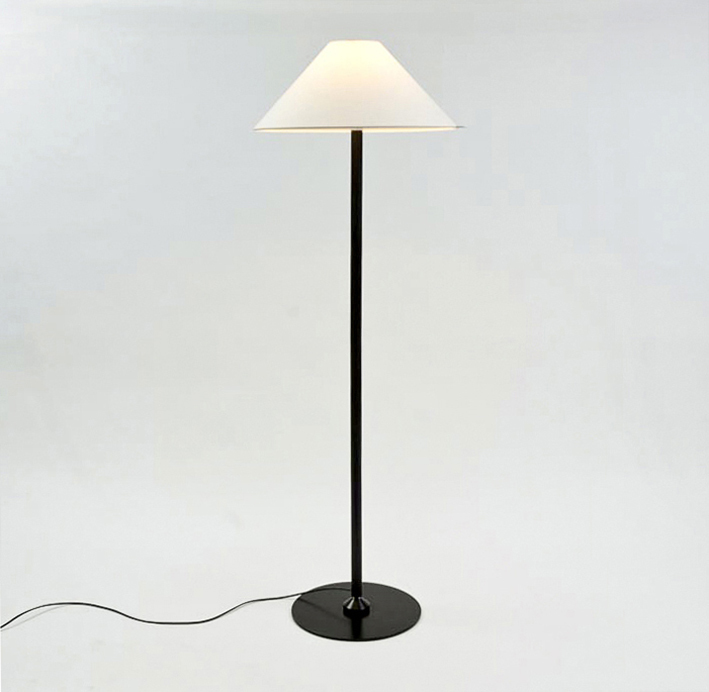 I developed the ball joint with the vertical preset positioning specifically for the Standing Task Light, though it could work for many other lighting designs as well. 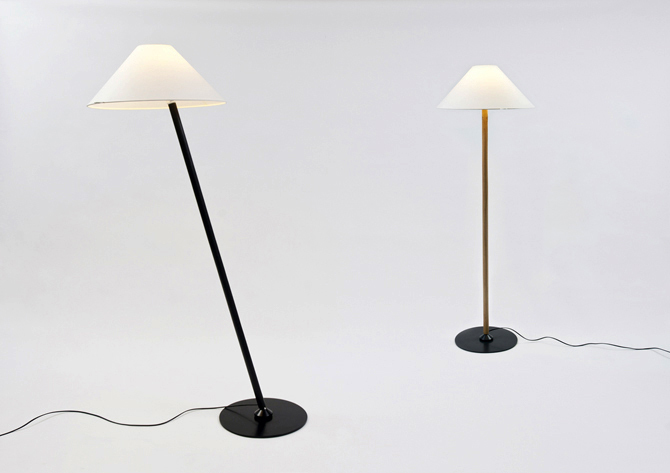 The two prototypes were shown at Copenhagen Design Week and Dutch Design Week in 2010. During a project at Kingston I used Scottish Tartan patterns for defining different use and colours for a shelving system. 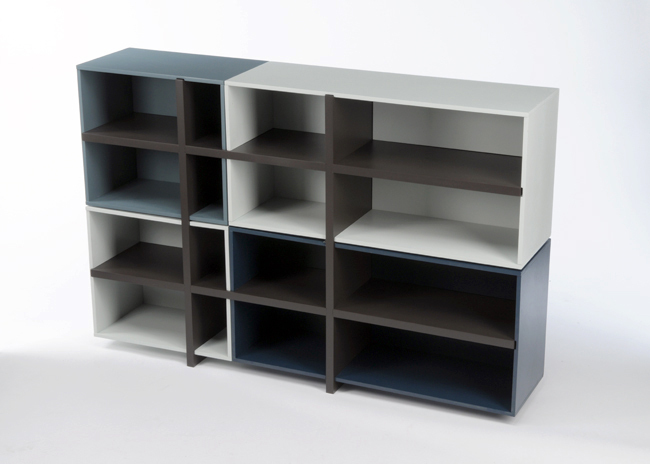 The shelf consists of a frame and different sized boxes, and has multiple choices for assembly. 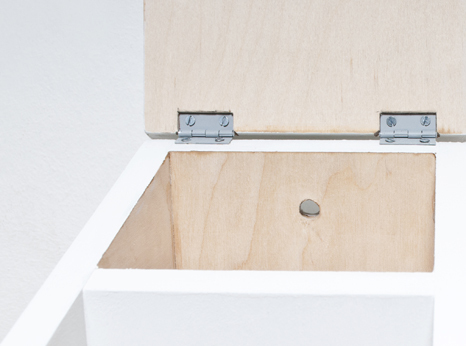 The boxes slide onto the frame and lock into position. 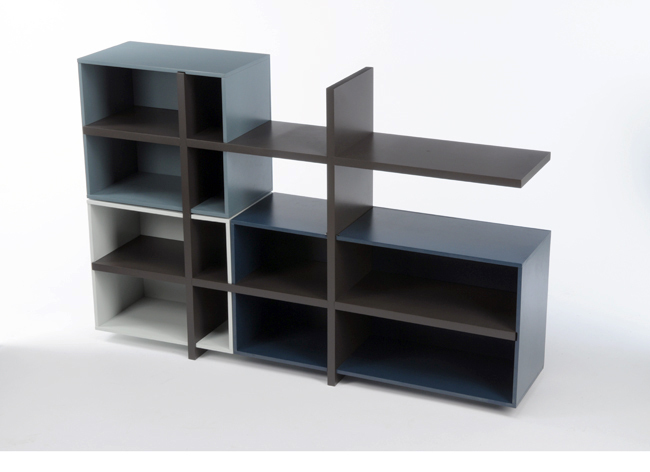 Made in lacquered mdf. 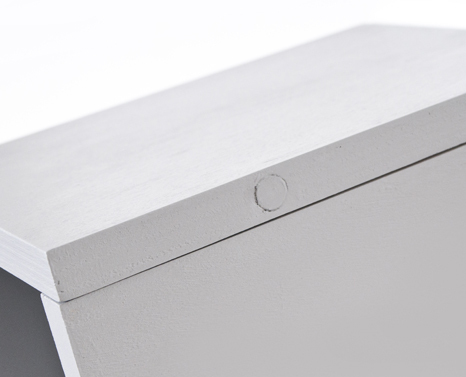 This model is a project prototype, the box lock-on mechanism was designed but not manufactured. The prototype was shown at Tent during London Design Festival. 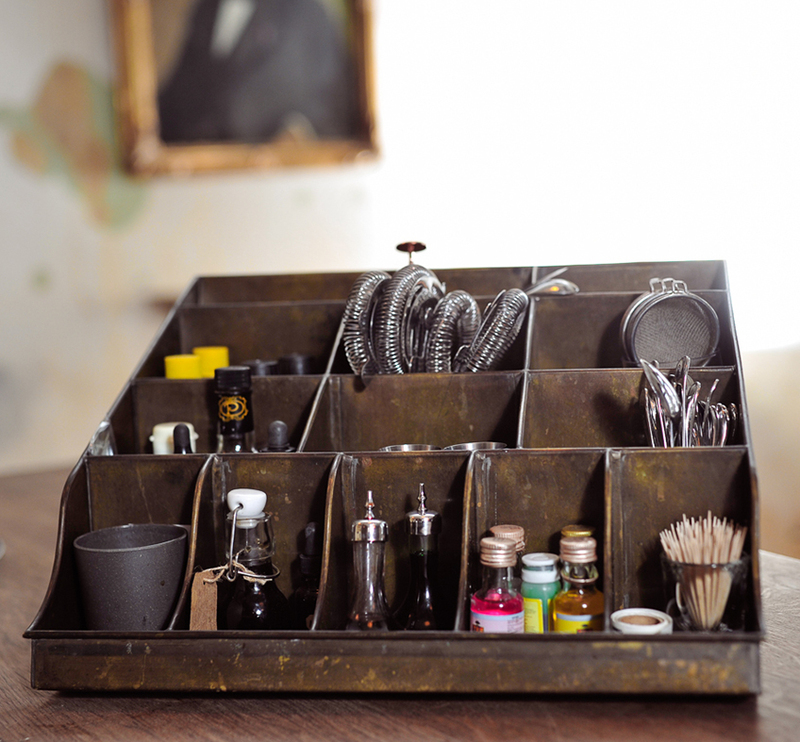 The various combinations offer different storing possibilities.